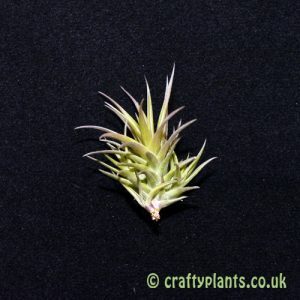 Native to Mexico, El Salvador, Guatemala and Honduras, Tillandsia Xerographica is a stunning specimen airplant, a must for any collection. 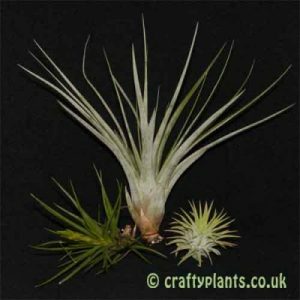 The silvery grey leaves are wider at the base tapering to a point. 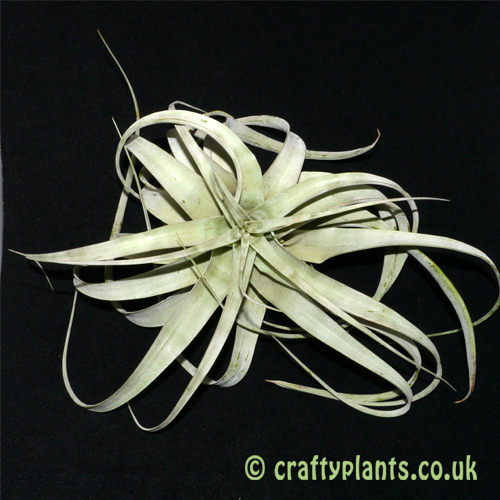 Due to its impressive rosette shape, Tillandsia Xerographica is popular with designers and florists for use in table displays and wedding bouquets. 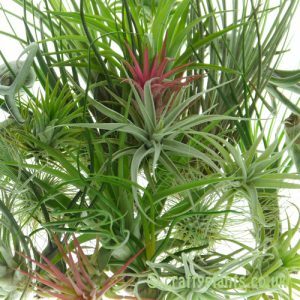 This airplant requires less water than many other varieties, and needs to dry quickly after watering, therefore we recommend misting them instead of soaking. The long lasting flowers, often lasting months, are violet in colour produced on a densely branched yellow/green floral bract upto 15″ tall. 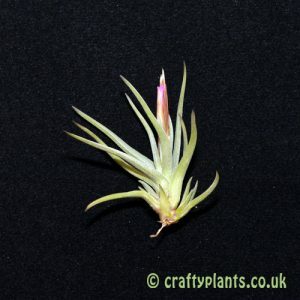 As with many varieties of airplant, the flowers colour of Tillandsia Xerographica is greatly enhanced when the airplant is given plenty of light and kept warm. Light: Lots, can handle full sun. Truly stunning and large statement for every houseplant lover! 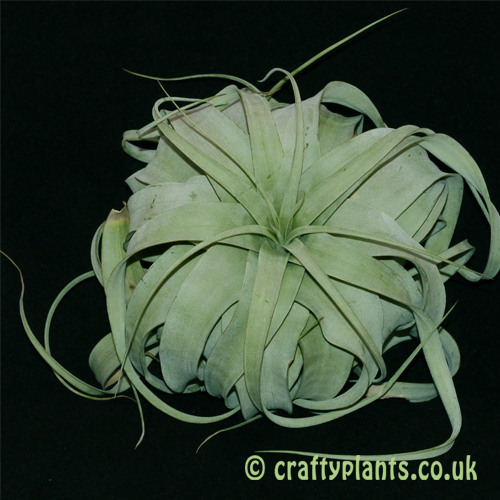 Utterly beautiful, large, healthy, perfectly grown Xerographica. Wow i unboxed this beauty, and was surprised by size. 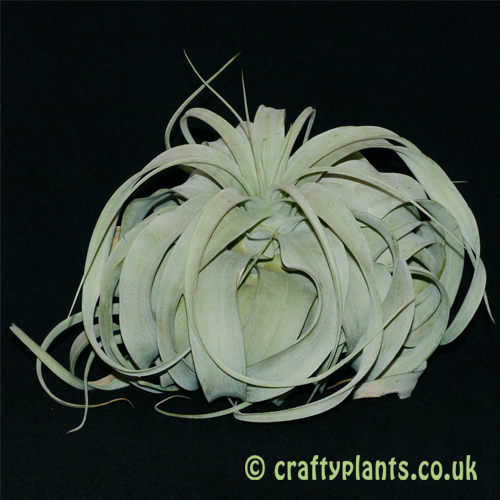 Its a stunning plant thank you Crafty plants see you again. Gorgeous plant and a nice size. Looks great in my living room on my windowsill.